Do you own a credit card and want to use it effectively? Credit cards of SBI, ICICI and HDFC banks are very good but unless you know how to make the most of them, they are not better than cash. 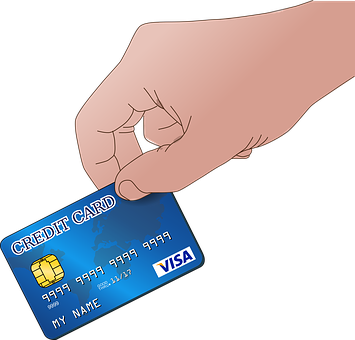 Nowadays in Indian cities, almost everyone uses some or the other credit card; but hardly anyone knows how to use one in a way as to give the user the maximum benefit. Therefore here are a few useful tips. You know that you will receive the bill of credit card by the month end and you will have to pay a hefty amount for it. In normal situation, you know that this amount will be taken from your savings account and you ensure that your account has that amount. But if you want to be smart, instead of keeping this amount in your bank account where you earn an interest 4%, you will like to keep it in a short term fixed deposit where it will earn 7% or more interest. The benefit of this is that by the time your credit card bill arrives, your FD will be mature so that you can pay the bill from that amount and you will get more interest on that amount. And you even need not worry about spending that amount as it will be secure in the FD. You can open a 90-day fixed deposit account or if it’s paying well, you can open a 30-day account too. By getting easy credit, you are tempted for overspending with a credit card. Overspending may be havoc for your financial planning. Because they are not asked to pay upfront, people tend to spend recklessly and end up in spending more than they can afford. Therefore, you should put strict limits on your expenses. In this regard, you can first compare credit cards and find one where you can register your mobile number with the company because of which you get alerts about your usage and balance credit limit, so it’s easy to track your expenses. Decide a fixed amount for expenses and stick to it. There is a certain credit limit set by the credit card company when you get their credit card. However, with time, they may tempt you to increase the limit. An increased credit limit can let you buy pricier items; however it can also make you land in a serious problem of debts. Therefore, stay away from enhancing the credit limits at least for the first year so that you get an idea of how to deal with credit card bills and know the implications entirely. If you plan to increase this limit, it should be done upon getting an increment in your salary. Visit Applykaroo to get full information of various credit cards, how they work, what facilities they offer and more. 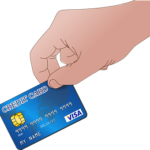 This will help you in making an informed decision about getting a credit card suitable to you.